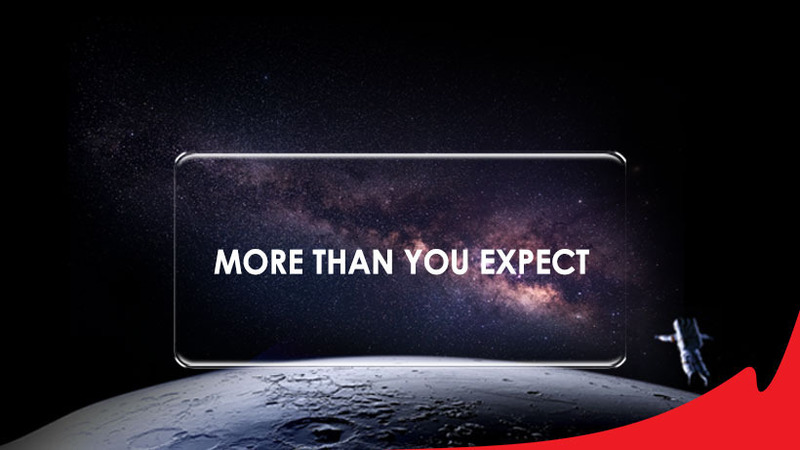 well is also a great achievement for itel cause is the best phone ever made by itel. There been lot of news and rumors for the past few month about the fake release date but am happy to tell you that today is the lunching day as at 21june 2018 this device has a lovely design, and of course it a low-end smartphone and also 5.5 inch HD full view display feature. Speaking of it camera Itel p32 has a great rear camera with awesome selfie quality. The phone features will be listed below. full key and display specifications. Display: 5.5 inch HD+IPS screen. Version: 8.1 power by oreo Go supposed with MT6580M Quad-core 1.3GHz. expandable up to 32GB ROM. Battery: 4000mAh inbuilt battery can last up to 48 hours in a single charge. Camera: 5MP/5MP dual rear camera 5MP front camera LED flash supported. Fingerprint scanner: Supported with a secure sensor. Resolution: 720 x 1440 pixels. Network: GSM/WCDMA 4G Network not supported. Connectivity: GPS, WIFI, Bluetooth version 4.2, USB 20, OTG. Colours: black, blue, gold, champagne. Sensor: fingerprint Sensor, G-sensor, Ambient light sensor, E-compass, proximity sensor. Itel p32 Design and Display. P32 5.5 inch have the ability for HD display gives you a wider view and submerge experience with a revolution of 720 x 1440 pixels and available in different colours it's design with a smooth plastic design this smartphone is now one of the best phone in terms of design. Camera quality up to 5MP/5MP dual rear also with LED Flash and 5MP front the smartphone Camera change take a great pictures and also standard graphics quality. 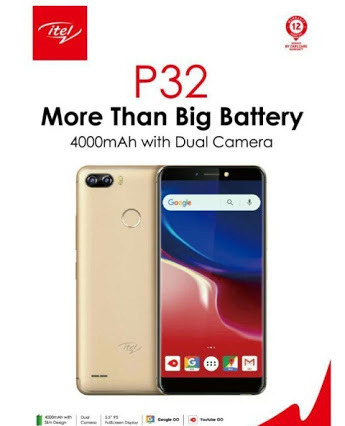 Itel p32 Fingerprint scanner is also great with a strong secure sensor to protect your files or document. Price of itel p32 and how to get it.